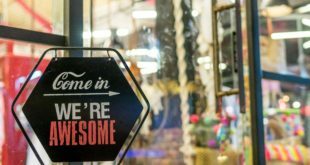 Home / Business / INDUSTRY OPINIONS: The most significant industry changers? INDUSTRY OPINIONS: The most significant industry changers? “Cycle To Work has made the single most significant contribution to the cycle industry. It has led to cycles becoming a far more accepted means of transport, which is now a more viable and faster means of commuting around cities than ever before. “The combination of cycling becoming more appealing in terms of convenience, cost-savings and health, coupled with incentivising the occupation, has almost certainly enabled manufacturers to invest in advancements in the quality of bikes and components over the past five years. “The sea-change of opinion towards cycling in central and local Government, which after the fantastic support of the trade and industry (through the Bike Hub Levy Scheme), has been instrumental in generating the £140m three-year budget for Cycling England and probably influencing Transport for London in investing £111m in cycling infrastructure in 2010. “The introduction of congestion charging in London and the C2W scheme have been key influencers which illustrate the swathe of goodwill towards cycle use. This, on top of the high profile success of the GB cycling team at the Beijing Olympics, having hosted the start of the Tour de France a couple of years ago, and perhaps that the leader of the opposition, current Minister for Transport, and the Mayor of London are all cyclists and proud of it, helps. There has never been a better time for cycling; both the sport and the urban/commuting sector. “Anti-dumping duty on China and Vietnam had a significant impact on product sourcing throughout Europe. Those that benefited were manufacturers in Europe, Bangladesh, Cambodia, Sri Lanka, Indonesia and mid-to-high end product from Taiwan. “Industry and Government-led pro-cycling policies have made a difference too, alongside DfT, BAGB, Bike Hub, Sustrans, CTC, and TfL, in providing a quality and safe cycling infrastructure for commuting and leisure. "Undoubtedly the positive media interest that cycling has enjoyed has done much to raise the profile of our industry. The terrific sporting success achieved by British Cycling’s athletes is obviously remarkable, however the Bike Hub scheme, which was initiated by the BA, has also been the catalyst in seed-funding many projects now taken up and funded largely by Government which, in turn, established its advisory body Cycling England as a direct result of Bike Hub. 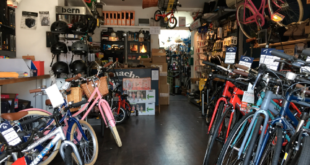 "All contributors to the Bike Hub scheme, whether retailers, of whom many are also ACT members, or industry suppliers, have felt the beneficial effect that this has had upon trade. Many companies within the industry have hardly noticed the economic recession as a result of the upsurge in cycling generally that, in part, is a result of increased Government investment on cycling as a sport and in cycling transport initiatives such as Cycling Towns and Cities and the provision of Bike It officers in schools." "I think the introduction of the C2W scheme has had the biggest impact. It’s encouraged a lot of people who already cycle to buy more expensive, better bikes than they might have bought and it’s also encouraged a lot of people thinking about buying a bike to buy one." “Along with the recently published Cycling Demonstration Towns’ results and the Government’s Active Travel strategy, the results from the DfTs Sustainable Travel Towns have just been released. They show what a difference can be made to the way everyday journeys are taken when given info about walking and cycling routes and public transport. Over five years, cycling increased by between 26 and 30 per cent across three towns, and there was a drop in car use. Previous For sale, Track Bike, £200,000 o.n.o.